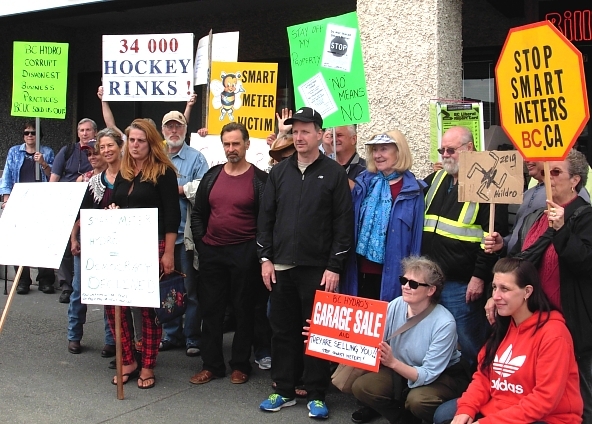 More than 75 people turned out for Nanaimo’s rally against smart meters yesterday, on the sidewalk in front of MLA Leonard Krog’s office downtown. 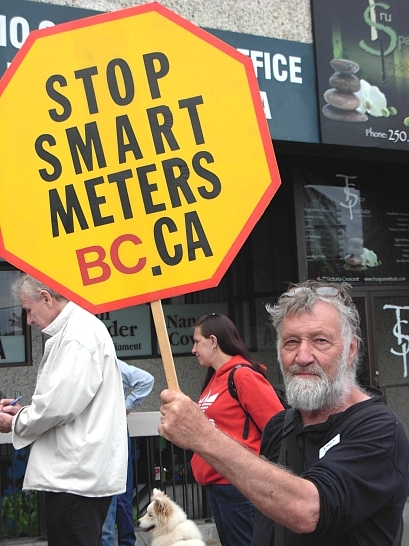 The event was part of a multi-city Day of Action Against Smart Meters occurring across British Columbia and Quebec. 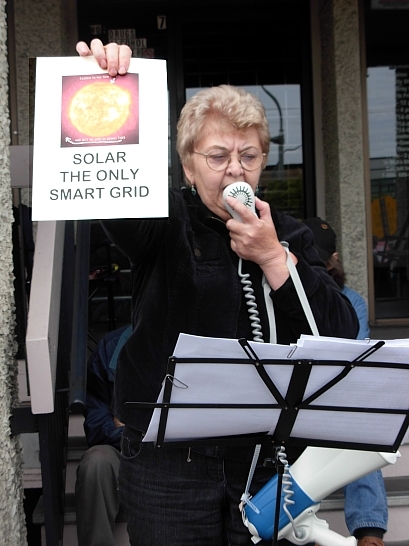 Speakers described the risks of fire, surveillance, and illness associated with wireless smart meters. 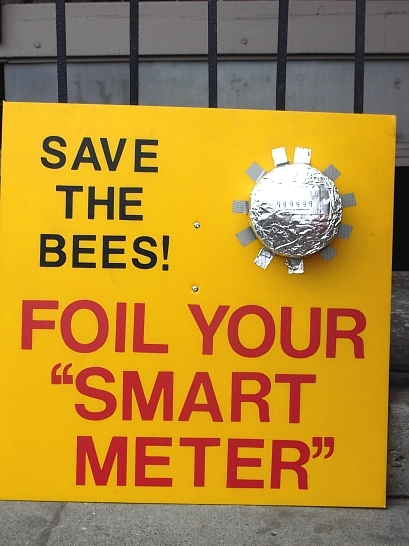 And some described their own personal health ordeal triggered by the installation of a smart meter on their home—from headaches, to heart arrhythmia, to loss of vision. 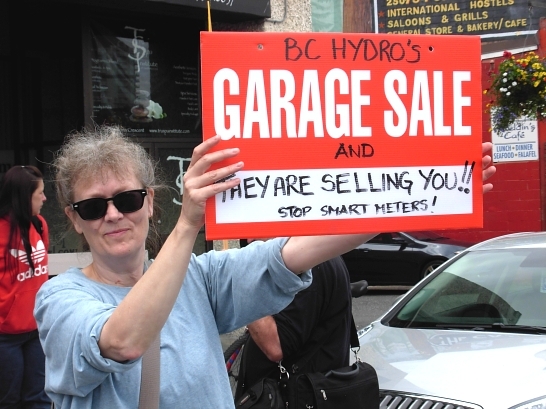 Attendees and passers-by on the busy street corner were encouraged to join the class action lawsuit currently underway against BC Hydro over the risks associated with smart meters. 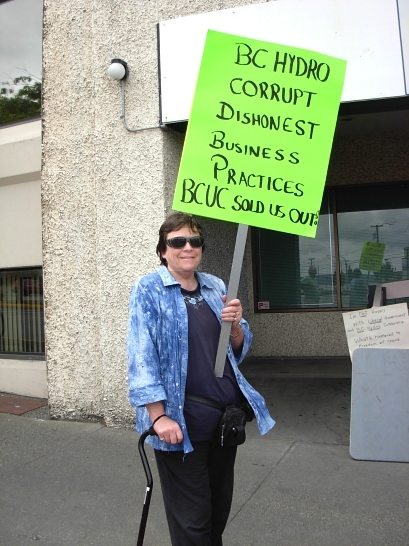 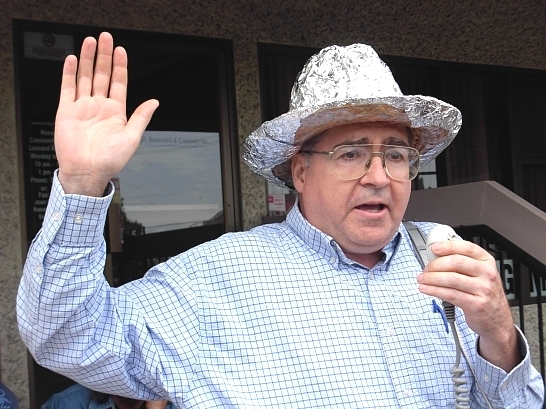 This entry was posted in News, Smart Meters and tagged BC Hydro, bees and wireless radiation, class action lawsuit, electromagnetic radiation, Nanaimo, National Day of Action Against Smart Meters, risks of wireless technology, Vancouver Island on June 15, 2014 by Kim Goldberg.